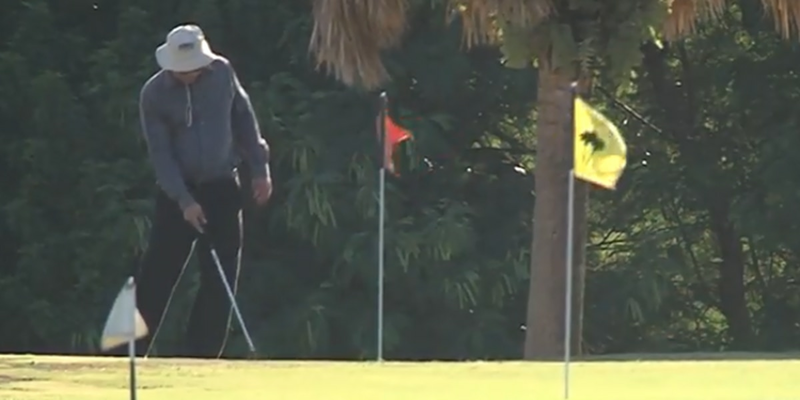 The days are numbered at the West Palm Beach municipal golf course. The historic course located off Forest Hill Boulevard is losing about $60,000 a month. Not only are the conditions of the greens slicing into revenue, the city hasn't put a lot into maintenance in recent years. On Monday night, city commissions approved to close the course until 2020. In February, developer American Links signed an agreement to manage a $86 million renovation of the 196-acre course. Plans include the Topgolf franchise, a boutique hotel and a clubhouse next to Interstate 95. Nearly 200 apartments or condos would also be built. This course has been a favorite spot for many golfers for decades including legend Arnold Palmer. "It has elevations changes which makes it more challenging. It makes it a more interesting golf course than the flatter courses in Florida," said golfer Blake Lafavour. "I'll absolutely miss it, but I can't wait until I come back and see what it's like when it's done." Many of the employees at the course will transfer to other golf courses. When the renovations are complete, hundreds of jobs are expected to be added.